I read recently on your blog that Dietrich von Hildebrand never defined value. He actually does so in his Christian Ethics, at least to some extent in that he lists different categories of values and gives examples of certain types. I believe Chapter 12 and some of the chapters immediately before or after it deal with this issue. Thanks for the citation. I meant that Von Hildebrand does not define "value" by way of genus plus specific difference--the most precise way of defining a term. First, he does not give the genus of "value." Is "value" a substance? Is it an accident? If an accident, is it a quality? If a quality, is it a habit? If a habit, is it an entitative habit? Second, he does not give the differentia (specific difference) that sets apart the species "value" from other species within the same genus. In other words, if "value" is an x, i.e., a member of a broader group or genus called "x" (I call it "x" because Von Hildebrand does not tell us what it is), then what sets apart "value" from other x's (i.e., from other members of the genus x)? Or, perhaps "value" is not something that can be defined. If that's the case, then it would be good if he told us so. But he doesn't. Thomists, for example, don't think it is definable. And they give good reasons why it is not definable. The "good" is not always an accident or a substance, but a transcendental--that is, a term that transcends all 10 categories (or genera), because it is found in all the categories. So, "good" is undefinable, because it is not bound by any genus (or category). In fact, as Aquinas likes to say, ens et bonum convertuntur: that is, good is coextensive, and therefore convertible, with being--which is also undefinable, for the same reason. My name is Brian. I'm a sophomore at Saint Mary's College of CA and I'm becoming a student of JPII's Philosophical & Theological Anthropology (Personalism). I hope to study at the International Academy someday. I think your article on von Hildebrand was well written. However I must disagree with your analysis on three points [scroll down for other two points]. Thank you for your question. By way of preface, I do want to say that, although I am about to reply to your criticism very forcefully and (hopefully) in a decisive way, I do not intend to attack you personally or to create the false impression of being correct simply because of my academic seniority. However, I understand that you are an undergraduate who is only in his second year of studies, and that you have been bombarded with many ideas and have not had an adequate amount of time to process them or to take into account most of its implications; therefore, I encourage you not to be turned off by my strong corrections, but to take the time to consider both traditional Thomistic thought and the traditionalist position seriously. Only through years of study (and prayer) can you even hope to see things in appropriate perspective. You have recited well the story that Catholic Personalists tell their students. I got that story too, when I was an undergraduate at Franciscan University. There I had a chance to learn Personalism from the horse’s mouth, so to speak. I had half a dozen professors that had been either first- or second-generation disciples of Von Hildebrand and other Phenomenologists/Personalists, notably John Crosby and Michael Healy, and got to meet personally other representatives of this school of thought, such as Rocco Buttiglione (author of the pope’s intellectual biography) and Joseph Seifert (head of the International Academy of Philosophy). From Healy I took several courses, one on Karol Wojtyla’s thought, where we read Wojtyla’s main philosophical works, primarily The Acting Person and some philosophical essays, such as the one on “the irreducible in man” (whose exact title I forget); and another course on the “philosophy of love and sexuality” where the main textbook was Wojtyla’s Love and Responsibility. From Crosby I took a graduate course on personal subjectivity and consciousness, where Wojtyla’s philosophy was very prominent. Moreover, most of my graduate colleagues were avid defenders of his thought and that of Von Hildebrand, Edith Stein, and others—and many of them either have been through, or are now at, the International Academy of Philosophy. The students of personalism and phenomenology will tell you that Wojtyla is a Thomistic Personalist, that he sought to reconcile Thomism and personalism. That is true; he sought that. However, the manner in which he did it was more ‘Personalistic’ than ‘Thomistic.’ He nominally accepts a very primitive Thomistic metaphysics (there are substances; there are accidents; there is matter and there is form—nothing beyond what one learns in one day of class) as the foundation of his thought, but at the same time rejects the Thomistic metaphysics of man by claiming that metaphysics is grossly inadequate for understanding man—that it was not until personalism came along that we discovered ‘the irreducible in man’ and began to understand human nature adequately! So, not only does he ‘build on’ Thomistic metaphysics (which by itself is something benign); he also destroys Thomistic philosophical psychology in order to establish his own enlightened ‘insights’ (which is not something benign). Thus, you will find him rejecting the Thomistic doctrine on the substantial unity of soul and body in man and embrace a form of personalistic substance dualism, because he phenomenologically attained the insight that “I am not my body; rather, I have my body” (cf., The Acting Person). Therefore, whereas it is true that there is a latent sort of Thomism in his thought (which has nothing properly Thomistic about it—it’s more like a very basic Aristotelianism), he nonetheless thinks that this Thomism, especially the philosophical psychology, should be corrected. It’s not a ‘contribution’ as much as a correction. So he is trying to ‘fix’ St. Thomas. And I, therefore, wouldn’t think it is a legitimate contribution to Thomism. Neither would his Thomistic professor, Fr. 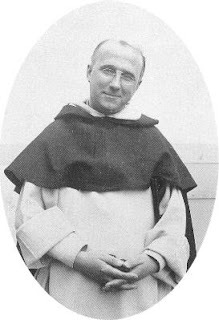 Garrigou-Lagrange. Moreover, even the primitive Thomism that he held was hardly a Thomism at all. His thought was not a combination of personalism and traditional Scholastic Thomism; but rather, it was a combination of personalism and Existentialist Thomism, which is a corruption of Thomistic metaphysics, filled with its own existentialist problems. (Wojtyla received his ‘formation’ in Existentialist Thomism at Lublin, Poland, where one school of existentialist Thomism originated.) This side of his thought, even without the personalism, is contemptible in itself from a Thomistic point of view. Moreover, it is simply a gross misunderstanding of history to think that the reason St. Thomas did not complete his Summa is because he thought “metaphysics alone couldn't complete the picture of man.” That is actually quite a comical idea, because though it you can see how far the personalists will go to find a justification for their nonesense. First of all, by the time Aquinas decided to stop writing, he had long ago finished his Treatise on Man. What he left unfinished was his treatise on the Sacraments (out of which the Church drew most of the now dogmatically-binding doctrine on the sacraments, defined at the Council of Trent). Second, the reason he himself gives for why he stopped writing is that, compared to the glory of God that he beheld, everything he has written is like straw. In other words, what he has written about God is mere straw compared to God Himself. He did not mean to say that what he has written about man is like straw compared to ‘man himself’, because he did not have a vision of ‘man’. He did not have a mystical experience of the phenomenologically ‘irreducible in man’. It is just ridiculous that phenomenologists and personalists use this event in Aquinas’ life as an indication that Thomism is an inadequate philosophy! It is not Thomism that is inadequate: it is the human mind itself that is inadequate for describing God as He is in Himself!!! Perhaps we should say, even Thomism is inadequate for describing God as He is in Himself—not to mention the other philosophies, such as phenomenology/personalism, which are inadequate and false! Remember that, in the end, it was Our Lord Himself told Aquinas, bene scripsisti de me, Thoma... "Well have thou written of me, Thomas!" II. Second, I must say that I disagree with some fundamental presumptions that you seem to be making about the nature of Church teaching on Thomism. I don't think your dogmatic stance on his place in the Church is truly where the Church stands. You seem to be proposing Thomas' thought and therefore the Church's approach to philosophy and theology as if they constitute a system. There is no 'Catholic way' to philosophize. There is no 'Catholic theology' qua system. There is only Truth. This is what John Paul means when he says in the encyclical Veritatis Splendor, that the Church does not 'intend to impose upon the faithful any particular theological system, still less a philosophical one'. Consistency is not the same as having a system. Marx had a system. Freud had a system. The Reform Church of Switzerland has a system. But Thomas is consistent. The difference can be seen when one challenges the views of Maxists or followers of Freud. Those thinkers created systems geared toward answering questions, like a machine. We just as them a question and the put their premises and assumptions together to give an answer. Completely independent of reality. Their conclusions always match their premise. And begging the question - raises no problem for them. Thomas and the Church are consistent not because of a system but because of a love of the Truth. -True. Talk of ‘systems’—‘philosophical systems’ and especially ‘theological systems’—is simply boorish. There are no ‘systems’ here and there. There is simply truth—the rest is falsehood. And that’s exactly what Aquinas—and the Church—understand Thomism to be: truth! Not merely ‘a system’! Like you say, “there is no ‘Catholic theology’ qua system. There is only Truth.” And the Truth is best expressed in the writings of the Thomists. I don’t disagree with that. What I disagree with is the claim that Thomism (i.e., truth) does not hold a place of prominence over all the other philosophies (i.e., falsehood). It is very clear that the Church does prefer Thomistic philosophy over all other ‘philosophies’. What does the Church teach about philosophy and about the priority of Thomism? Not once was I given at Steubenville a single pre-Conciliar document that answered this question—not even something as simple as Aeterni Patris. The only thing I was presented with was post-Conciliar stuff like Fides et ratio and Veritatis splendor—which merely say that no philosophy as a whole holds the level of dogma. But the question is whether the post-Conciliar attitude towards philosophy—which is not merely that the Church has not defined any ‘philosophical system’ as dogma, but that the philosophy of St. Thomas is no more adequate than other philosophies and that, therefore, it has no prominent place in the Church—is correct and if it is compatible with the already-established, binding doctrine on the issue. So we have to look at the binding declarations prior to Vatican II to determine the answer. You seem to be accusing me of having a “dogmatic stance of [Aquinas’] place in the Church.” I would never say that Aquinas’ “stance” in the Church is a ‘dogma’, or that his metaphysics demands our internal assent, but I would say that the Church has made binding statements that would render doubtful the claim that the Church does not regard Thomism as normative, in a sense, or that no philosophy holds a primary place in the Church—because Thomistic philosophy clearly does. Moreover, the Angelic Doctor pushed his philosophic inquiry into the reasons and principles of things, which because they are most comprehensive and contain in their bosom, so to say, the seeds of almost infinite truths, were to be unfolded in good time by later masters and with a goodly yield. And as he also used this philosophic method in the refutation of error, he won this title to distinction for himself: that, single-handed, he victoriously combated the errors of former times, and supplied invincible arms to put those to rout which might in after-times spring up. Again, clearly distinguishing, as is fitting, reason from faith, while happily associating the one with the other, he both preserved the rights and had regard for the dignity of each; so much so, indeed, that reason, borne on the wings of Thomas to its human height, can scarcely rise higher, while faith could scarcely expect more or stronger aids from reason than those which she has already obtained through Thomas. This attitude towards Aquinas is a far cry from Wojtyla’s correctionist attitude. Numerous Roman Pontiffs, Our Predecessors, have borne glorious testimony to his philosophy. We also, in the books which We have written on various topics, after by diligent examination perceiving and considering the mind of the Angelic Doctor, have always adhered and subscribed with joy and admiration to his philosophy, and candidly confess that whatever good is to be found in Our own Writings is in no way to be attributed to Us, but entirely to so eminent a teacher" (Acta Cap. Gen. O.P., vol IX, p. 196). 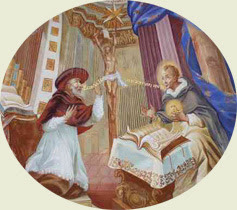 Therefore that "the philosophy of St. Thomas may flourish incorrupt and entire in schools, which is very dear to Our heart," and that "the system of teaching which is based upon the authority and judgement of the individual teacher" and therefore "has a changeable foundation whence many diverse and mutually conflicting opinions arise . . . not without great injury to Christian learning" (Leo XIII, Epist, Qui te of the 19th June, 1886) be abolished forever, it is Our will and We hereby order and command that teachers of sacred theology in Universities, Academies, Colleges, Seminaries and Institutions enjoying by apostolic indult the privilege of granting academic degrees and doctorates in philosophy, use the Summa Theologica of St. Thomas as the text of their prelections and comment upon it in the Latin tongue, and let them take particular care to inspire their pupils with a devotion for it. In addition to this relatively-recent enforcement of Thomism, there is the simple fact that, well before Thomism had risen to such canonically-binding status, the Church has already many times utilized Thomistic philosophy in its dogmatic definitions, and has even infallibly defined Thomistic philosophical doctrines themselves! For example, the Councils of Florence, Trent, and Vatican I were thoroughly Thomistic. Florence, for example, defined the Aristotelian/Thomistic philosophical doctrine that “the soul is the form of the body.” Moreover, Trent’s decrees and canons on the sacraments make no sense at all if one rejects the Thomistic doctrines of substance and accident (cf., Transsubstantiation), of species (cf. the sacramental species), of matter and form (cf., matter and form of each sacrament), etc. Similarly, the definitions of Vatican I on the existence of God, and our knowledge of Him, are all based on Thomistic natural theology. And the list of instances where the Church clearly shows preference for Thomistic philosophy over all others, both in word and in deed, is truly endless. At Steubenville, as an undergraduate, I trusted my professors and I took it as a fact that the Church “didn’t have a philosophy.” But when I later went and looked at the documents myself, I found an entirely different reality. III. Finally, I must say that I am concerned about the type of traditionalism your philosophy is leading you toward. I find your criticism of the Holy Father and the Saint to be troubling. It sounds very much like the rhetoric of SSPX and other so called 'traditionalists'. When we begin to think that we know a better way to defend the Church's deposit of truth than our Holy Father, Christ's Vicar, I think we stand in a dangerous position. You can fall off the boat port or starboard. Left or Right. But either way you end up with the sharks. So long as we remain on the Barque of Peter there is only one thing needed: Charity. Here, your accusation is vague, and gratuitous; you don't really explain what's wrong with my position and you offer justification for the accusation at all. What exactly have I said that “concerns” you? You say I have criticized the Holy Father. I don’t recall having done that. Plus, is it necessarily and always wrong to criticize the Holy Father, or is there possibly a legitimate way to do it (with respect and obedience)? Most sensible Catholics of all ages (think of St. Catherine of Siena) would think there is a respectful and obedient way to criticize and admonish an erring Pope. That’s how she managed to drag the papacy back to Rome by herself after their ridiculous 70-plus-year-long vacation in Avignon, France. 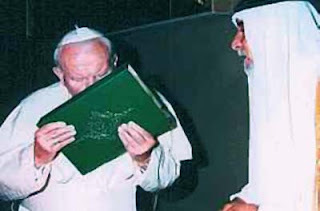 You must believe that there is a respectful way to criticize an erring Pope… that is, unless you believe it is impossible for there to be an erring Pope. Some neo-conservative Catholics commit the fallacy of thinking that, because the Pope can exercise the charism of infallibility, he therefore always exercises it. In other words, neo-conservatives think that, for all practical purposes, the Pope is always infallible. If he were always and in every respect infallible, then it would not be surprising for you to think that “when we begin to think that we know a better way to defend the Church’s deposit of truth than our Holy Father, Christ’s Vicar, I think we stand in a dangerous position.” But since the Pope is NOT always infallible, but only in very limited occasions, it is hard to see why we can’t think that there may be better ways of defending the faith than the new way of doing so—especially if what we believe is best is exactly what most previous popes have done—and especially if the ‘new way’ has proved to be ineffective, as is demonstrated by its undeniably catastrophic results (cf. Kenneth C. Jones, Index of Leading Indicators: The Church Since Vatican II). Oh, and please do not dismiss the SSPX’s position as mere rhetoric, as if what they say amounts to nothing but empty words. That is just not fair. Although I am not a member of SSPX, and although I disagree with its attitude towards the problems, I nonetheless recognize that they have raised some valid issues and their position is not merely a flatus vocis. Those issues have to be answered by the Pope; they cannot be dismissed. What is merely rhetoric is your conclusion that the truth lies in neither “the left” nor “the right” for the simple (and rather humorous) reason that, if you go to either the left or the right of a boat you will end up “with the sharks.” That is a childish comparison, and does not apply. It may be that only the extreme right is correct in certain issues. In fact, what is today considered the extreme right was even considered the “middle” in previous decades/centuries. There is no absolute rule that says that the truth lies in the middle. Finally, you close with the presumptuously wise and profound remark that, apart from adherence to the Pope, all we need is charity. (As if the beauty of those words should convince me of your position.) However, the remark that all we need is adherence to the pope and charity is false. We need, in addition to charity, the full flourishing of the gifts and fruits of the Holy Ghost and of the beatitudes, without which we would not be able to follow faithfully all the inspirations of the said Holy Ghost or to fulfill all the duties of our Christian vocation (cf. Garrigou-Lagrange, The Three Ages of the Interior Life, vol. 2). One of those gifts--the highest, indeed--is that of wisdom, which allows us to judge the signs of the times and to see everything sub specie aeternitatis--as God sees it. Again, I don’t mean to discourage you or to attack you personally. I admire your courage in bringing up these points. I encourage you to study these issues carefully, taking seriously all the different positions and evaluating them in light of the perennial teachings of the Church—not just in light of the latest encyclical. Much has been written and said about Von Hildebrand and his opera, and many traditionalists have been exposed to his books. What do we make of him, this "20th-century Doctor of the Church"? -Good question! Who was Von Hildebrand? What is phenomenology? How is it incompatible with Thomism? First, the basics. 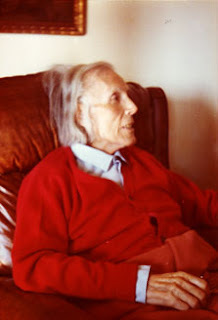 Dietrich Von Hildebrand was a Catholic phenomenologist who studied under some of the originators of the phenomenological movement, such as Husserl and Scheler. To be precise, he followed the early phenomenological movement, which was a "realist" phenomenological movement. Phenomenology is a modern philosophical school of thought that attempts to solve the Kantian epistemological problem in a very peculiar way; realist phenomenology is the early part of the movement which attempted to reach knowledge of reality, but this realist project was later abandoned by the phenomenologists, who ended up being idealists, for the most part. All of this needs to be explained for the benefit of those who are not familiar with any of it; so, I will first deal briefly with Kant's epistemolgy, then phenomenology, then realist phenomenology, then Von Hildebrand, then his school and its future. Phenomenology. 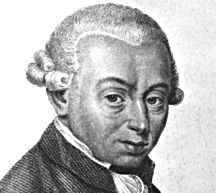 Kant had revolutionized philosophy forever. 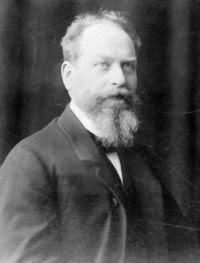 After more than a hundred years of Kantian scholars attempting to find a way to reach the noumena, the school of phenomenology arose (founded by Edmund Husserl, pictured). The phenomenologists wanted to purify experience (phenomena) in order to study it and "reach," in a way, the noumena. If we don't allow our own minds to impose its own meaning onto the experience; if we allow experience to speak to us, then--they thought--we will be able to discover the truth hidden underneath appearances. In other words, they wanted to open their eyes and simply receive the blob of colors and shapes and sounds and smells, etc., without imposing onto that picture any concepts, such that they no longer see houses, dogs, or apples, but only sense white, fluffy, sour, etc. By performing that sort of analysis they could let the purified phenomena tell them something about the hidden noumena. Realist Phenomenology. This was, at least, the early attempt of phenomenology to reach reality via the phenomena. It has been called "realist" phenomenology. There were later "brands" of phenomenology which did not attempt to reach reality. They are, instead, more "idealistic"; they represent the mainstream of contemporary phenomenology, such that the term "realist phenomenology" would normally seem like an oxymoron to a mainstream contemporary phenomenologist. But, historically, phenomenology began as a "realist" attempt. Husserl at first worked on this realist phenomenological project, but he ultimately got frustrated because he found no epistemological grounds for it. He ultimately gave up and gave in to idealism. That is, he abandoned his attempt to reach the noumena; he concluded that a science of things themselves (noumena) could not be grounded through phenomena. So he began analyzing phenomena for their own sake, eventually relapsing into idealism. Other thinkers, especially a few of his disciples, took this "realist" project and ran with it. Von Hildebrand was one of them. 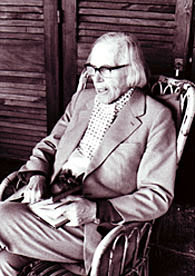 Dietrich Von Hildebrand. Von Hildebrand was very different in his philosophical temperament from his teacher, Husserl. Husserl was a pedantic logician at heart; Von Hildebrand was an existentialist. Husserl spent his entire life trying to find the epistemological grounds for claiming that we could know things themselves; Von Hildebrand was never truly worried about the nuts and bolts of the whole thing, and simply wanted to take off with his thought. So, although Von Hildebrand wrote a few books on logic, on the philosophical/phenomenological method, and on epistemology, his true fortes were ethics and philosophical psychology. In these works, the reliability of experience (not just sense-experience, but also the affective sort of value-judgment that Kant had spoken of) remains unquestioned. He trusts that experience (thus broadly-construed) will give him a direct intuition into reality. He can get acquainted with the essence of a thing simply by attaining a rich experiene of it. There is no need for syllogistic reasoning, logical abstractions, or metaphysical conceptualization; we can reach the essences of things through this direct intuition. This is what they call intentionality: the mind's natural "reaching out" to things and their essences. Thus, Von Hildebrand eliminates the whole of Thomistic epistemology (abstraction, internal senses, intelligible species, agent and passive intellects) by simplifying the process to a mysterious direct intuition. He acknowledges the distinction between the first, second, and third operations of the intellect (I don't think he'd call them that), but he downplays the importance of defining, judging, and reasoning. You can easily imagine him saying something like "a definition does not help you reach reality; experience does." In ethics, Von Hildebrand sought to make contributions based on phenomenological insights. Instead of ethics being based on the common good, he thought it should be based on "value." We don't experience the metaphysical concept of good. Rather, what we experience is value. What is a "value"? Well, in his hundreds (thousands?) of pages where he speaks of value, I dare say he never defined it (definitions are no good, remember?). If I were him, I would have to define value as a non-naturalistic quality in things that demands an adequate spiritual response on our part. I say "non-naturalistic quality" because it is a quality that is not reducible to any physical or ontological quality of a thing (like "6 feet-tall" or "red"), or to any combination of these (like "well-arranged" or "holding together"). Rather, it is a moral sort of quality that is rather independent of the physical/natural qualities of the thing in question (sort of like Platonic forms). So persons have value, and it is this value which means I have to respond in such a way that I treat that person with respect, "like an end-in-itself and not like a mere-means." In the most basic moral controversies, especially in the area of sexual ethics, Von Hildebrand ultimately reached more or less the same Catholic moral conclusions about the morality of physical acts that Thomists reach (contraception, abortion, etc. are intrinsically wrong; capital punishment is not intrinsically wrong), but he gets to those conclusions by using strange arguments (phenomenological analyses of experience) and the psychologial attitude he says should accompany those physical acts seems a bit rigoristic (e.g., sexual intimacy should always be accompanied by an attitude of response-to-persons, such that the married couple should always be thinking of the fact that everything done in that act is an act of self-giving). Speaking about love, Von Hildebrand, inspired by Kant, adds to the traditional duo of intellect and will a third spiritual faculty whereby the soul gets in touch with things: "the heart." The "heart" is the affective "sphere" in man, whereby he affectively responds to the world. I don't only know my mother (this is the intellect, he would say), and chose to be good to my mother (through my will); I also love my mother. And this "love" is not a choice, so it is not done by the will; rather, it is an affective response to a "value," and it is done by the "affective sphere," or "the heart." Thus, Aquinas and the entire 700 year-old Thomistic tradition, which based its views, not on experience, but on Aristotle's logic, was too blind to see that, in addition to the intellect and the will, we also have a third "sphere," the heart. Their logic prevented them from seeing that over and above knowing and choosing, we can also love. Thus, Von Hildebrand set about to correct all of Catholic philosophy by discarding whatever in it could not be corroborated directly with experience and by rewriting all of its conclusions so that they match our experiential perspective on the subject. However, it must be acknowedged that Von Hildebrand had some intellectual virtue--and this may account for the fact that Pius XII calle him the "20th-Century Doctor of the Chuch." For example, his book, Liturgy and Personality, although vaguely founded on questionable philosophical grounds, is a profound meditation on the psychological aspects of the Sacred Liturgy and is, therefore, solid contribution to the earlier liturgical movement (before Bugnini showed up). Also, even though his philosophy was not exactly traditional, he nonetheless was very traditional in other respects; for example, dogma. He did not have the philosophy to understand or to explain dogma, but he did revere it and held it to be unchangeable. That is why he was outraged by the changes that took place during and after Vatican II, and that is why he became one of the first "traditionalist Catholics" and wrote two of the most powerful traditionalist books against the Vatican II novelties (The Devastated Vineyard, and The Trojan Horse in the City of God)--his widow, Alice, is an active promoter and writer for the traditionalist Catholic movement. So the Von Hildebrand legacy is not entirely negative; just his philosophy. Von Hildebrand's School. Whatever his merits or demerits, Von Hildebrand has never been known worldwide as a great philosopher. Even "realist phenomenology" itself is a bit of an enygma within the secular philosophical world. But two other realist phenomenologists have contributed to making their school--and, therefore, Von Hildebrand--famous within the Catholc world: St. Edith Stein and Pope John Paul II. Edith Stein was a phenomenologist when she converted to Catholicism from Judaism. She converted to Thomism at the end of her life, but her work was mainly within the realist phenomenological school. 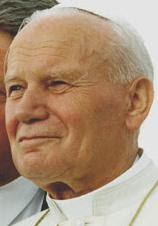 Also, Pope John Paul II was a phenomenologist and, before becoming pope, wrote many articles "correcting" traditional Thomism as hard-headed and incomplete; even as pope, his speeches, writings, and even encyclicals, were permeated with the language, style, and assumptions of realist phenomenologists. These three figures--St. Edith Stein, Pope John Paul II, and Dietrich Von Hildebrand--form the holy trinity of the realist phenomenological school today. A saint, a pope, and a man who was called by Pope Pius XII the "20th-century Doctor of the Church" give Catholic phenomenologists the confidence to continue ploughing over the ruins of Scholastic Thomism by questioning/denying well-established, Magisterium-sanctioned scholastic doctrines (they call them theories) and reinterpreting the dogmas that imply them so that they no longer mean Scholasticism is true. For example, Thomists hold a hylemorphic view of man (where man is a rational animal made up of a rational soul/form and a body/matter, the two forming one substance). This is what the Council of Vienna meant when it defined the soul as "the form of the body." But realist phenomenologists hold a "personalist" view of man, where man is first and foremost a person, and his personhood is a spiritual reality--after all, it is this spiritual side of man that we primarily experience as "us," whereas from our subjective perspective the body seems like a thing out there. So they conclude that man is primarily a spiritual reality. 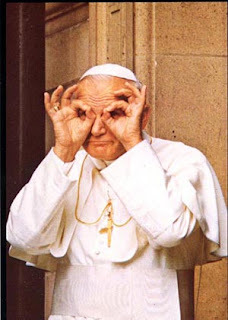 In the words of Karol Wojtyla (future John Paul II): "I am not my body; I have a body." Put in scholastic terms, their view is that essentially we are souls/persons, and the body is an accident of that substance. The soul is loosely connected to the body, and it is certainly not its "form," at least in the sense that we've always understood it. Hence, the "personalist" view seems to run counter to the Council of Vienna's definition. It should be added that Von Hildebrand never went this far--he had a deep respect for dogma--even if he seems to assume this doctrine throughout his writings. Another example, this time in metaphysics. Ever since St. Augustine--and one could argue that since Plato and Aristotle--the whole philosophical world has believed that evil is a privation of being that should be there (e.g., blindness is not a positive entity in the eye, but a lack of something positive that should be in the eye). This view is further reinforced theologically by the consensus of theologians and by its proximity to the definition of the Council of Florence that God created all things good, and that there is nothing positive that is evil in itself. But the phenomenologists (especially Crosby and his colleagues) say that the only reason why we believe evil is a privation is because we want to get away from the problem of having a good God creating evil in the world. By saying that evil is nothing and that, therefore, it doesn't need a Creator--they claim--we are just by-passing a very thorny issue in the easiest way possible. But they claim there is no justification for claiming evil is a privation other than that. If you examine evil in itself (phenomenologically) you will see--they continue--that evil in itself is not merely an absense, but a presence; not a negation/privation, but a positively evil entity. In fact, they say, non-being is not evil; only being can be evil. So our very experience of evil--think Hitler--corroborates the view that evil is a very positive evil thing, lurking there, present, as an antithesis to good, destroying good. How do they deal with the Church's dogma? Somehow they reinterpret it, such that it does not imply the evil-as-privation doctrine (which they call the "privation theory")--I forgot their contrived explanation about how it doesn't mean that. The Future of Realist Phenomenology. Happily, this school is slowly dwindling. As with all things within the post-Vatican II Church, they don't last too long after they cease being "in style." The current lust-for-novelty that we are suffering from in the Church does mean one positive thing: everything but the most traditional will surely die out eventually. Realist phenomenology (especially its doctrine called "personalism") is still a threat, but it is not, and will never be, as big a threat to Catholic thought as are other modernist philosophies and ideologies that haunt theology departments throughout the world. It used to be the reigning philosophy at the University of Dallas. At Franciscan University it is still strong, where it attracts many of the young, passionate Catholic minds of the US. (I was one of them.) It is also strong at the International Academy, which is very small, but does attract a handful of otherwise traditional Catholics which somehow think their traditionalism is compatible with their philosophy. Other Catholic universities (e.g., Catholic University, Ave Maria University, Angelicum, Fordham University--where Dietrich taught for some time) have each featured at least some aspect of realist phenomenology, in varying degrees. 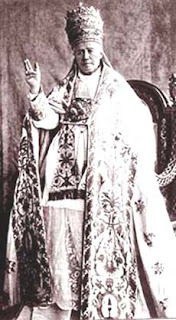 Sadly, traditionalist Catholics tend to be ignorant of philosophical issues and find no problem in giving these philosophers their support--financial or otherwise--by buying and reading their books and passing them on as "solid Catholic literature"; by allowing them to publish in traditionalist Catholic publications, such as Latin Mass Magazine; by letting them speak in traditionalist Catholic conferences; etc. The best example of one of these philosophers who gets a whole lot of help from the trad movement is Alice Von Hildebrand (widow of Dietrich). She is one of the most popular faces in the movement and, therefore, gets a good ear in the trad movement, whether she speaks of the traditional Mass (on which she can give a good talk) or of philosophy (of which she cannot). Let's make an effort to inform ourselves of the basic tennets of this school of thought, of its arguments and presuppositions, so we can help everyone to avoid its errors and better defend Scholastic Thomism as the philosophy of our Holy Mother, the Church. 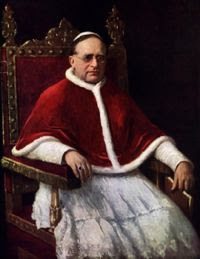 After all, Pope Pius XI (1923) said, ite ad Thomam, not ite ad Husserl. Quaeritur: I found the following statement in an article by John Vennari on Modernism: "Bishop Sigaud lamented that Thomism is being displaced by the dangerous modern philosophies of Jacques Maritain." Isn't Maritian one of the three 20th-century philosophers you said were good Thomists? c) Fr. Edouard Hougon, O.P. But Maritain was undoubtedly a good Thomist in many respects; in fact, for his traditional approach to Thomism, he is seen as one of the most famous Thomists in the last century. But there is a question whether he was totally orthodox. I would say, with Garrigou-Lagrange, that he wasn't totally orthodox. He may have been partially infected by modernism ub some areas. (Perhaps this is what Mr. Vennari had in mind: that he was a modernist, not that he wasn't a Thomist. After all, a "modernist Thomist" is not only not an oxymoron: that, unfortunately, is the best way to describe the majority of Thomists today!) In any case, Maritain's political views are definitely un-Thomistic and questionable (he tries to defend democracy based on Thomistic principles, whereas Aquinas and all of his traditional followers are obviously royalists / monarchists). Also, his aesthetics and "philosophy of mysticism" may also be a bit untraditional and objectionable from the point of view of revelation. Even his writing style and choice of expressions are a bit loose, un-Scholastic, and overly-existentialistic for the likes of a traditional Thomist. However, the conceptual content in his metaphysical and epistemological works is nothing but sound, standard, traditional Thomism. He is also unique among Thomists because he is a convert; he was a non-Thomistic philosopher in his youth and his encounter with Thomism attracted him towards the Church. In his writings, when refuting all of his previous errors, he could look at things from a unique "insider's perspective." His best-known epistemological and metaphysical book is The Degrees of Knowledge. It is a very thorough and sophisticated Thomistic discussion of human knowledge. Even Garrigou-Lagrange (who was unquestionably the best Thomist of the last century, and also Maritain's spiritual director at somepoint) commends Maritain for his metaphysics and epistemology and even cites him approvingly in his own works. 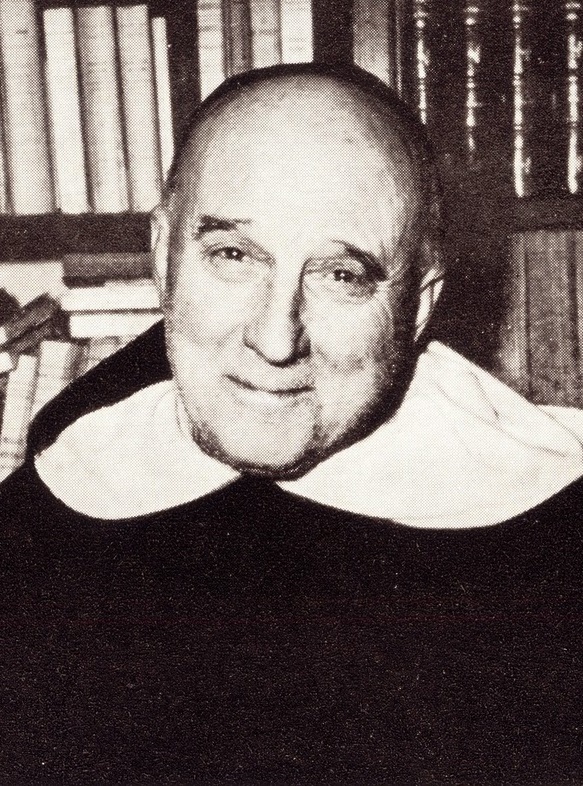 However, once Garrigou became aware of Maritain's liberal political views, he advised him to stay away from political philosophy and to dedicate his time to his metaphysical epistemological issues. 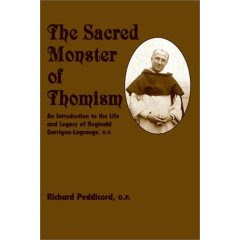 (A book that summarizes the relationship between these two famous Thomists is The Sacred Monster of Thomism by Peddicord; there, it is said that, when Maritain, the convert, tried to persuade the super-traditional Garrigou-Lagrange about democracy, Garrigou felt indignant and said something like, "you are now going to lecture us, who have been Catholic for 300 years, on a new Catholic social doctrine?!") This caused animosity between the two--actually, on the part of Maritain, rather than on the part of the saintly priest--which resulted in the end of their spiritual meetings and their friendship altogether. 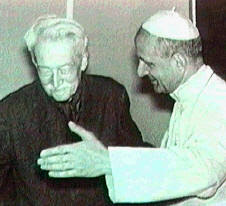 Maritain expected Garrigou to apologize, but he never did. What Should be the Layman's Attitude in this Crisis? I have several questions, if I may, regarding the crisis in the Church and what a laymen's response should be. I was a sedevacantist for the better part of 25 years, but over the last 1 to 1 1/2 years I have begun to understand the necessity of jurisdiction for government and teaching as a necessary structure for the Church, and the way Our Lord created it. This leaves the average layman, who has no knowledge of language, philosophy or theology submitting themselves to whomever seems to have the best argument at the time (rather Protestant/Eastern Schismatic don't you think). Often this position is dangerous, not only because of the cult-like qualities that begin to surface, but also because the theology taught can really diverge from what the Church is taught: e.g., jurisdiction, apparent death of the Magisterium, etc. Even the SSPX, which openly says it is not sedevacantist, in practice follows little of what the current Magisterium or Pope says, which certainly was not a practice of laymen previously. However, the opposite side of the picture is that we laymen in pre-VII times had the belief that any document coming from Rome would be, at least, infallibly safe; although, perhaps, not infallible. We gave assent because that is what we were taught to do, and we were safe in doing so. No teaching, of whatever sort, appeared contradictory or novel. So, we were not put in the position of parsing every document's sentence structure, determining what a particular nuance may mean, and determining what the document was actually trying to say; as is the case with most documents since 1963. This puts us in the position of being the pope's pope or in other words using our "private judgment." So, you see, both sides are pretty fraught with what appears on the surface to be unsolvable questions as what a layman's position should be... Thank you. My view regarding the correct attitude of “the simple layman” in this situation is the following. They need not become their own “private theologians” and make a decision for themselves. Rather, all one needs to do is hold fast to everything that has always been taught: quod semper, quod ubique, quod ab omnibus (what has been taught always, everywhere, and by everyone). This is easier for those who were born and raised well before Vatican II; but it is also possible for people like myself—who were raised in a confusedly “Catholic” way after the crisis began—if we do a lot of good reading and get immersed in Catholic culture as much as possible. Once one is firm in what has always been taught (which you will find in the traditional catechisms, for example, those of Trent and Baltimore), everything else can be weighed on that basis. If seemingly novel/unorthodox teachings arise, one need not wonder if they contradict previous teachings. Truth cannot contradict truth, and we already know the previous teaching is true, so the only possible true meaning (and, therefore, the only possibly binding meaning) of any new teachings is the orthodox meaning. The unorthodox interpretation is neither true nor binding. For example, Vatican II, in Lumen gentium, seemed to teach those outside the Church could be saved. Did it really teach that? Well, there is a dogma that states that “there is no salvation outside the Church” (extra ecclesiam nulla salus). Therefore, it would be impossible that we are bound now to believe that there is salvation outside the Church, because we have already been perpetually bound to believe that there isn’t. Therefore, the only possible true meaning of Lumen gentium is something else—maybe that at least some people who have been baptized, but who have been raised to practice some non-Catholic religion, do so through no fault of their own and that in their own hearts they wish to believe in the truth that God revealed, whatever that may be, and so they are "Catholic" in a non-explicit way and, therefore, may receive eternal salvation if, right before death, God gives them the grace of a perfect act of contrition—or maybe that non-Catholics can become Catholics before their death and, by doing so, be rewarded eternal salvation, such that it is true that they "can" be saved. Whatever the meaning of the document is, the only way it could state any truth is if what it says is compatible with the previous teaching. Any unorthodox interpretation of Lumen Gentium is nonsense; it is neither true nor binding. In fact, the simple layman, in my view, need not even attempt to judge between the truth of different groups, such as sedevacantism or SSPX. The reason is that God makes available to all the necessary means of salvation. And making a judgment regarding these groups requires a high level of theological expertise (and even expert theologians err with regard to this issue, as is evident from the fact that there are expert theologians in each side, contradicting each other). Therefore, the simple layman will not be required by God to make such a judgment, which is, by definition, beyond his abilities. 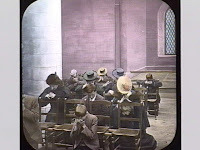 At best, his judgment would be correct but blind, based entirely on non-rational motives, such as persuasion by a good speaker; or preference based on existing social relationships within that group; or preference for a group based on the beauty of their liturgy; or based on on temperamental similarities between him and the group, etc. If our salvation depended on leaving the main, false “church” and joining the last remaining scrap of the true Church, then God would make it doctrinally obvious to those who are truly faithful that the prevailing “church” is no longer the Church, but is in heresy. And, although it may be obvious that there are problems with the prevailing Church, it is not obvious that it is not the Church anymore. If Pope Benedict came flat out and proclaimed something obviously heretical as binding on all the faithful, then it would be obvious. Anything short of that would make it doubtful. So, in short, all that the "simple layman" has to worry about during this time of crisis is to hold fast to the same faith that we have held throughout the ages (everything we've always believed, the way we've always believed it), pray for the restoration of order in the Church, and live a life of sanctity.